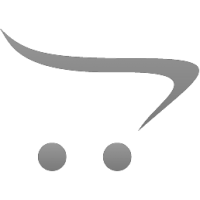 I have always liked this site. It has been good for me. 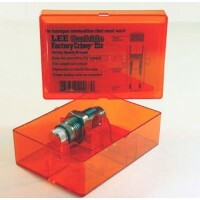 I use a lot of Lee products and have had good results ove a few decades!.. 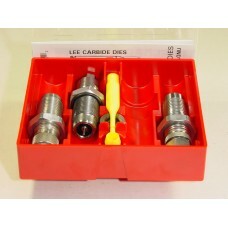 Lee Precision Carbide 9x19mm Parabellum 3-Die Pistol Set uses a solid carbide insert ground to a special contour that does not leave the objectional belt mark on the cases, common to the ordinary carbide dies. A Carbide Full Length Sizing Die is a must if you are reloading for more than one firearm or reloading cases that were fired in other firearms. No case lube is needed, and you don't have to clean your cases. 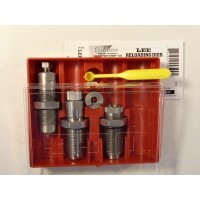 Taper crimp dies are used to correct problems caused by the improper expanding plug design or adjustment. They distort the bullet shank and reduce accuracy. 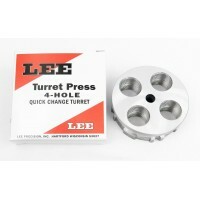 The Powder Thru Expanding Die charges the case while expanding the mouth. All of the flare is removed with the Bullet Seating Die. 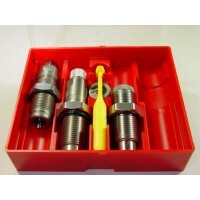 Thus eliminating the need for a tapered crimp die. The Lee Precision 9mm Luger Deluxe Pistol 4-Die Set combines the world's most popular Carbide Three-..
Lee Precision Carbide .38 ACP (Automatic Colt Pistol), .38 Super 3-Die Pistol Set uses a solid carb..
Lee Precision Carbide .44 Remington Magnum, .44 Special 3-Die Pistol Set uses a solid carbide inse..
Lee Precision Carbide .38 Special, .357 Magnum 3-Die Pistol Set uses a solid carbide insert grou.. 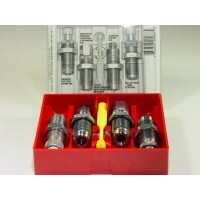 The Lee Precision .357 Sig Sauer Steel 3-Die set allows decapping, sizing, powder charging, bullet..
Lee Precision Carbide .45 ACP (Automatic Colt Pistol) 3-Die Pistol Set uses a solid carbide insert ..